Pretty good numbers on an FM2/MS - Miata Turbo Forum - Boost cars, acquire cats. 305 with the final tune. 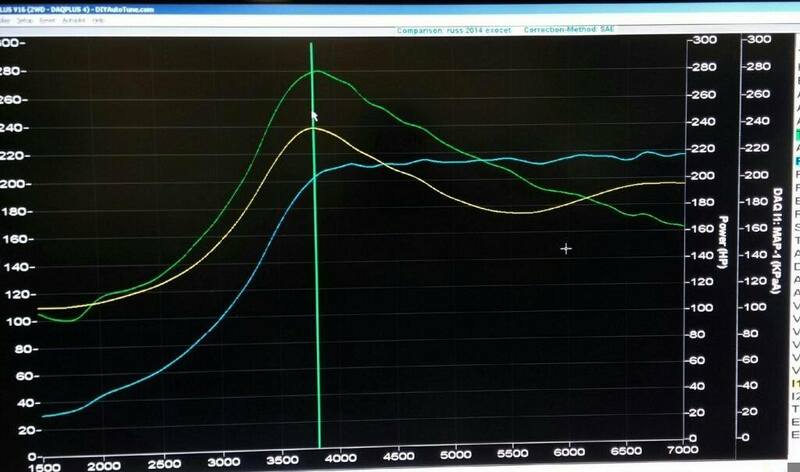 Stock internals, US intake, cheap JDM '99 motor with the BP5A intake cam. GT2560R, FM2 everything else. LS3 coils, EBC solenoid. 2.5" exhaust, no cat or muffler. 7psi at launch. Big thanks to Ben and Russ at DIYAutoTune, they really know their stuff. The boost climbing back up is creep because unported wastegate. They pulled timing and added fuel to keep the power down. I have been told to expect haters. Last edited by dutchbag; 10-16-2014 at 11:48 PM. Reason: Image derping. I don't think you'll get any hate. It all looks great. That thing must be a freakin rocket...geez. What does it weigh? The ONLY hate you will get from anyone on here is why would you not at least spend $400 and put a good set of rods in that thing. Other than that.....AWESOME!!!!! Maybe i missed it, 305hp at what boost pressure? 260hp is at 16? E85? That's about my goal, though i have a pretty heavily built engine. Id bet it wont throw a rod. 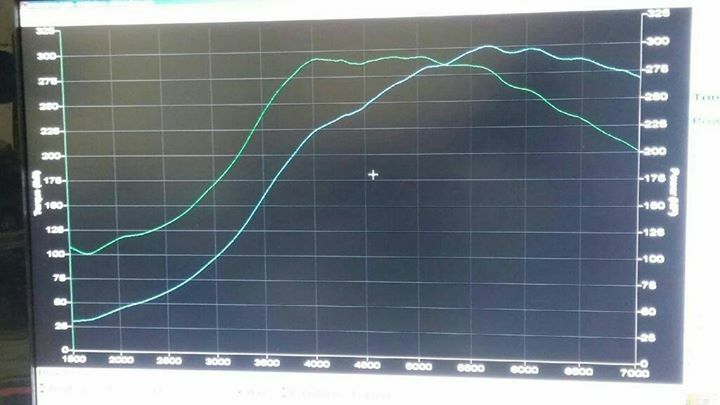 Theres MUCH less load on that motor in the exocet and with a good tune on e85 the factory bp4w could likely hold that even in a miata. Looks like an amazing setup, id love to get one for myself later down the road. Did you not see the torque numbers? It's a research vehicle. We want to see how far we can go with stock internals so we can tell our customers: "hey, don't run 280rwt". With a full tank of gas, this guy weighs about 1530. Oh... i realized that you're Warren. You're the good kind of crazy. Looks like the lack of muffler and cat really wakes the 2560 up! Hey guys. I went to pick up the car from DIY tonight, and they convinced me to go up to Atlanta Dragway and set some times. If any of you are in the area and want to see it blow up, see you tonight! in for ice rink drag strip. I check the grassroots thread every day. 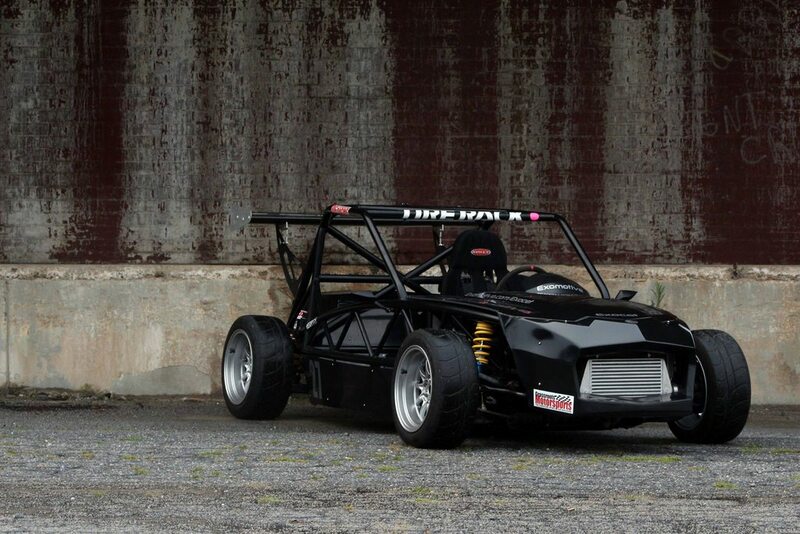 Sooooo want an Exocet. I saw 20psi to get that 305hp on Facebook. That's some rediculous torque you got there. 1/4 mile times should be entertaining! Two big crashes shut the event down while we were waiting in line. Here's some gratuitous rubber burning instead. Last edited by dutchbag; 10-20-2014 at 04:29 PM. Thanks to the Exomotive crew; especially Warren, Kevin, and Tyler. We pushed this one to the limit. Pump 93 with NB style fuel system. I'm unsure of the fuel pump type, but assume it has whatever FM supplies with their mack-daddy fuel system kit. XP4 has pretty much the entire FM catalog. Liek Warren said, multiple incidents on track prevented us from getting a single run. We had a lot of fun waiting in line, but didn't get any times. FYI, no problems passing tech inspection. At least there were donuts.